Realization coaching is being aware of the present state for your life. Realization coaching starts a new reality. A transformational coach and/or Life coach will coach you into realizations for your life.. When getting a coach, your coach will start to have you to realize, you are greater than what you are. Realization coaching starts to create a new reality of what you can accomplish in your life. As a transformational life coach they work with the clients, to open up more of what is present life. Once you become present in your life, the realization process begins. A realization of who you are is having the awareness of what you can do for your life. Your realization about yourself is a process that one must go through in there own journey. The growth of realization happens the moments you realize who you are and what you want to be in the future. It determines your capabilities. It gives you the opportunity to realize the things that they can do and have in life. It starts with being aware of there talents and skills to achieve what you want. Here is an example, if you want to be a successful virtual assistant and you do not have the set skills to be a virtual assistant. You are aware of yourself that you are not a good virtual assistant. 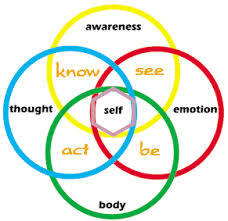 It is a the awareness of yourself that you lack the skills. Through your awareness, you can enroll into a business class. You can take the steps to be successful and to pursue your pass by taking classes. When you realize of who you are should start to see life in a new view. Realization coaching have you to start to see who you are today should be a tool that can be use at any moment. It should be tool for you to take steps or plan something that will add value to who you are. Even if you may feel that you may not have what you want right now in life. Its nothing to be ashamed. Realization Coaching get you do more in life. You can start at anytime to change your reality. Realization coaching works with your behavior and actions that you are doing today. You can determine the kind of life that you all have in the future. Realization coaching start working with the thoughts and belief that you have about yourself. Realization coaching give your the opportunity to work with your fear. You can start to dictate your actions to your fear to live great in your life.